Fannie Mae and Freddie Mac have announced they will start using the Note date to determine if a mortgage qualifies for a HARP refinance in order to make things more transparent for borrowers. Both Fannie and Freddie are standing firm with the date of May 31, 2009. At least the NOTE date is something a borrower can find instead of using the date Fannie Mae or Freddie Mac securitized the mortgage (which the borrower has no control over). FHFA just issued a news release announcing that the Home Affordable Refinance Program (aka HARP) has been extended through 2015. This refinance program created for home owners with conventional mortgages who are “under-water” home values was set to expire at the end of this year. There is no mention of expanding or removing the June 1, 2009 securitization requirement that has excluded many home owners from being able to refinance their homes (aka HARP 3.0 or #MyRefi). Your mortgage must be securitized by Fannie Mae or Freddie Mac. NOTE: this is different than who you make your mortgage payment to (your mortgage servicer). Your may be making your mortgage payment to a big bank and your mortgage is securitized by Fannie or Freddie. May 31, 2009. This is not the same as your closing date and takes place sometimes several weeks after the closing of your loan. Mae loan that was refinanced under HARP from March-May, 2009. The current loan-to-value (LTV) ratio must be greater than 80 percent. 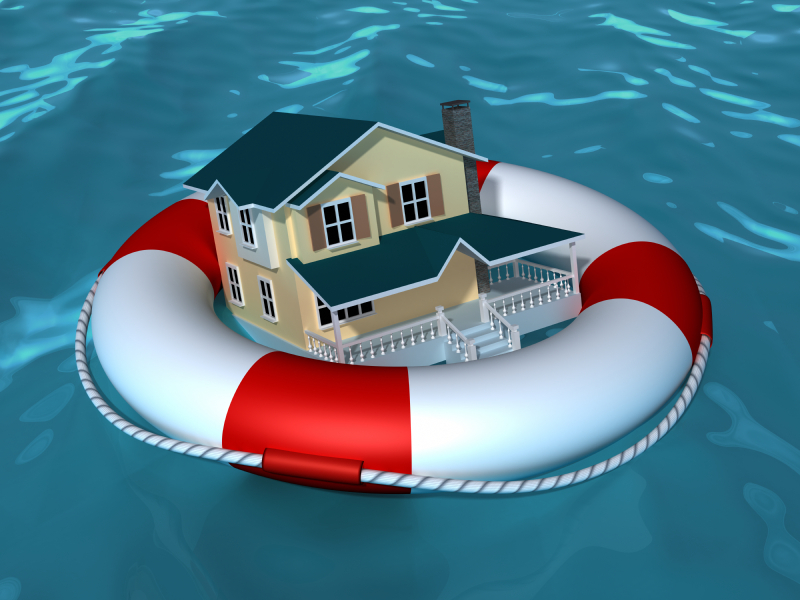 It doesn’t matter how “under water” your home’s equity is! Often times, no appraisal is required. This program is available on owner occupied, second homes and investment property and is available to most mortgages with existing mortgage insurance as long as the above criteria is met. Click here for my complete guide on the Home Affordable Mortgage Program. I’m happy to help you with a HARP refi or any mortgage for homes located in Washington state, where I’m Licensed. Click here for a rate quote. FHFA has published their 2012 Refinance Report which includes some interesting stats on the Home Affordable Refinance Program (aka HARP 2.0). HARP 2.0 is a program to help home owners who have lost home equity refinance their property as long as the mortgage was securitized by Fannie Mae or Freddie Mac prior to June 1, 2009. You can learn more about HARP 2.0 by checking out my guide. December’s refinance report revealed that since the inception of HARP 2.0, over 2 million home owners have benefited from a HARP refinance. According to the FHFA Refinance Report, 25% of the transactions in December were for homes that were significantly underwater, with loan to values over 125%. Almost half the refinances were for homes with loan to values over 105%. One of the benefits of a HARP 2.0 refinance is that it allows the home owner to refinance without getting new private mortgage insurance regardless of loan to value. If the home owner currently has pmi, it needs to transfer to the new HARP refi (this happens in a majority of cases). The report states that 18% of those who did a HARP refinance in December 2012 opted for shorter terms (15 or 20 year) instead of a 30 year fixed. Remember, the HARP 2.0 program is set to expire on December 31, 2013. If your home is located in Redmond, Renton, Ravensdale or anywhere in the State of Washington, where I’m licensed to originate mortgages, I am happy to help you. Click here if you would like a mortgage rate quote. I’m pleased to share with you that we are working with lenders who are once again offering HARP 2.0 refinances with no appraisals (no loan to value requirements). Last year, our Freddie Mac resource for loan to values over 105% decided to pull out of the market, we now have another lender who is offering this product without loan to values overlays. This is great news for Washington state home owners who have lost equity in their homes (are underwater) and have a mortgage securitized by Fannie Mae or Freddie Mac prior to June 1, 2009. For more information about HARP 2.0 refinances, please check out my reference guide. We also received updated guidelines from one of our Freddie Mac HARP lenders for loan to values 105% and lower offering reduced income documentation and expanded debt-to-income ratio guidelines. It’s nice to see lenders loosen up a bit on some of their underwriting overlays! Fannie Mae HARP refinances are still readily available. For your HARP 2.0 refinance rate quote on your home located anywhere in Washington state, please click here. NOTE: If your Washington state home currently has an FHA mortgage, owner occupied or investment property, we can help you refinance without an appraisal – regardless of your home’s current value. I’m happy to help you with your home refinance or purchase needs as long as your home is located in Washington state, where I’m licensed to originate mortgages. For mortgage rate quotes for homes other than HARP, please click here. Reader Question: WHEN did Fannie Mae securitze my mortgage? This question is from a comment on one of my blog post addressing HARP 2.0’s eligibility date (Home Affordable Refinance Program), which many home owners have found to be a source of frustration. In order to qualify for the HARP 2.0 program, the mortgage must have been securitized by Fannie Mae or Freddie Mac prior to June 1, 2009. Securitization takes place after the closing of the loan and is completely out of the borrowers control. This person is being told their loan was securitized YEARS after it closed in 2003. It is possible that the lender had to wait a long period of time before being able to sell the loan to Fannie. I highly recommend checking Fannie Mae’s site at https://www.knowyouroptions.com/loanlookup to verify if and when your mortgage is securitized by Fannie Mae. Fannie Mae recently made improvements to their loan lookup site with getting rid of their terrible (sometimes comical) “bot” filter by replacing it with the borrowers last four of their social. You will need to enter in the information of the primary borrower from when the mortgage was obtained. The site can be picky as to your address, for example, Ave vs Avenue; so you may have to try re-submitting your information. “Match Found” means that Fannie Mae shows they have a mortgage on this property and that it may qualify for HARP 2.0. The improved site also provides the date the loan was securitized. A “match found” response does not guarantee that someone will qualify for the HARP 2.0 refinance program. Should you verify with Fannie Mae’s site that your property was securitized with Fannie Mae prior to June 1, 2009, I would contact a local licensed mortgage professional to help you with your HARP 2.0 refinance. I’m not sure what “independent site” was used to verify. Fannie Mae’s site would be the ONLY site I would use for verification of a Fannie Mae securitized mortgage. Should you find that your mortgage was securitized after the June 1, 2009 cut-off date, you may have to wait and see if Congress passes HARP 3.0 (aka #myrefi) which hopefully will remove the cut-off date. In my opinion the cut-off dates with the HARP 2.0 programs are hurtful for consumers who had no control over when their mortgage was securitized by Fannie Mae or Freddie Mac. I hope HARP 3.0 is available soon. When and HARP 3.0 is available, I will be sharing that information here on my blog. By the way, Freddie Mac also has a website for verifying if your mortgage was securitized by Freddie. If your conforming loan was not securitized by Fannie Mae, the next step is to try Freddie Mac’s site to look up your loan: https://ww3.freddiemac.com/corporate/ Fannie Mae has a majority of the “market share” which is why I recommend trying Fannie Mae first. If your home is located anywhere in Washington State, I’m happy to help you with your HARP(or any) refinance.